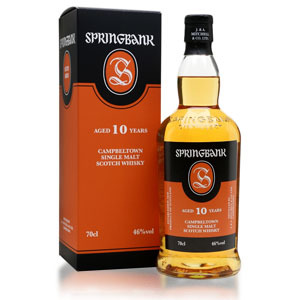 It has been some time since I last reviewed Springbank 10 year (see my old review here), and since the packaging has changed in the meantime I thought I’d give it another go. I think it’s valuable, once in awhile, to revisit whiskies from your past. They may have changed, true, but YOU may also have changed. Tastes evolve, as does your perception, both subjectively (ability to compare to a wider range of experiences) and objectively (improved ability to interpret sensory inputs). I also now know, thanks to a reader, that Springbank is in an odd category of single malts: products whose US importer heaps on an unreasonable markup. A 700ml bottle of Springbank 10 ran me $46 US after currency exchange rates when ordered from the UK (plus a whole lot in shipping, but it was in a large batch of orders, so that spread out the cost a bit). A 750ml bottle of the US edition of Springbank 10 runs $69 at my local store. Ordering Springbank, specifically, from the UK is a no-brainer… 50 fewer milliliters notwithstanding. Springbank 10 is classic stuff. Aged 10 years (It even says it on the bottle! How old-fashioned! ), not chill-filtered and bottled at 46% ABV without artificial coloring. Springbank does things the “old way” and is unapologetic about it. On-site floor maltings, worm tubs, and even (some) direct-fired stills. They also do a crazy “2.8-time” distillation and the malt is partially peated. Why? Because that’s how they’ve always done it. These days with all of the marketing and media stunts, all of the computerization and homogenization, and the false grasping at “tradition” and “legacy” as though they were solely corporate buzzwords and not the valuable result of actual time and actual effort, it’s nice to be able to enjoy whisky made this way. Here’s hoping it continues to last. Nose: Green apple, lime juice, juicy green pear. Delectable, but with limited peat presence. Palate: Thin but silky body. Mild tongue burn. Drying vegetal (grassy) tannins with a bit of resinous (piney) peat. The overall impression is still fruity. Some charcoal. Finish: A lot of charcoal, but not too bitter. Green apple skins. Cucumber water. Fades quickly, but lingers with that pine-flecked peat. With Water: A few drops of water brighten up the aroma but don’t add anything new. Palate texture is unaffected, although the burn is tamed. Water optional. 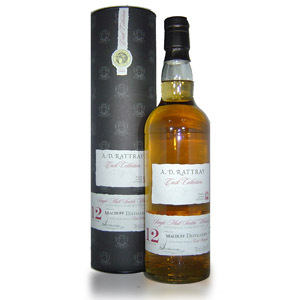 Overall: A very tasty, mild-peated malt with a surprising amount of fruit. Very well-balanced. I wish other single malts had this kind of balance and quality at 10 years of age. 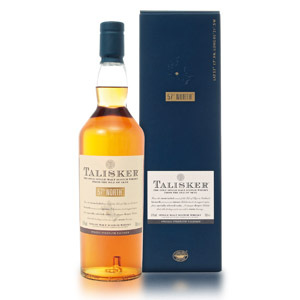 Acquired: (700ml bottle purchased at Master of Malt), $46 after exchange rate. This is one of my favorite whiskies. I agree with all of your tasting notes, and for what it’s worth I always get a hint of orange with it. I get this for $56 at a Fine Wine and Spirtits in Long Island which I think is a great price compared to what the local small stores sell it for. As I’m typing this I’m enjoying a glass of Kilkerran 12, another Campbeltown malt. I bought it at the same store for two dollars less. I wanted to try it because of how much I like Springbank. The jury’s still out, but so far I think I like Springbank better, which is not to say that it’s bad in any way. I’m curious if you’ve ever had Kilkerran, and if so what you think about it. I have not had the Kilkerran (aka Glengyle) yet. Thanks for the note! I read somewhere that Springbank owns the Glengyle distillery, but had to call the malt something different because Glen Scotia owns the Glengyle name. yes, when we were on a tour in cambeltown, the guide said that the company wanted an exorbitant sum for the name, Glengyle. 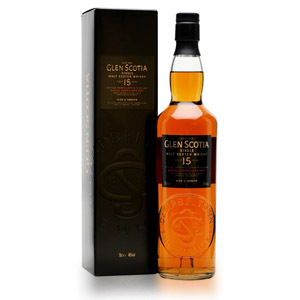 This, in addition to the fact that the previously named glengyle is a lower budget blend, with a reputation that would have to be overcome. Looks like another great one to try. For a little while, I was thinking there weren’t a lot more distilleries that interested me in the entry level range, but a few interesting ones have popped up now, like Clynelish 14 (thanks to this blog), Aultmore 12, and Glenfarclas 12. And now Springbank 10 can join the list! It will be the first Cambeltown single malt in the collection. What’s the bottling date on the springbank 10? Is it the 2018? 2/2/2018, and remember it’s the UK market 700ml version.